If an accident has left you with serious injuries, the medical bills can snowball quickly. 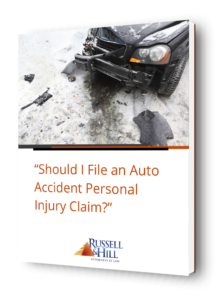 Contact Russell & Hill, PLLC by completing our free personal injury evaluation form, or call us directly and toll-free at 888-379-9517 to schedule your free initial consultation. If a personal injury accident has rendered you injured, regardless of whether the accident involved a vehicle, bike, ship, pedestrian, malpractice, a wrongful claim of death, or another type of accident, seek assistance from our tenacious, professional personal injury attorneys. Our experienced attorneys also focus on Maritime and Jones Act law, and they can help you get maritime benefits, as well as compensation for your injuries. We provide service to clients all around Washington and Oregon, and we have multiple office locations in Everett, Vancouver, Spokane, and Portland. Contact Russell & Hill, PLLC by completing our free personal injury evaluation form, or call us directly and toll-free at 888-379-9517 to schedule your free initial consultation. Our personal injury attorneys here at Russell & Hill, PLLC have long and well-established track records of providing effective representation to thousands of clients who have injuries resulting from a personal injury accident. We are highly dedicated to aiding the victims of accidents as well as their families all throughout these trying and stressful situations. In mere moments, a person’s entire life can change — all stemming from the negligence of someone else. If an accident has left you with serious injuries, the medical bills can snowball quickly. If you are unable to work as a result of your injuries, it may seem outright unfeasible to make any headway toward completing those payments. 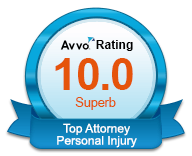 Our end goal is to see to it that you receive full and fair compensation for your personal injuries and losses. This includes all hospital bills, future medical requirements, wages lost, as well as any pain and emotional trauma. At Russell & Hill, PLLC, our attorneys seek full and fair compensation for people who have been injured due to another’s negligence. “Personal injury” is the phrase that describes any physical and mental injuries that stem from another person’s recklessness, negligence, deliberate actions, or strict culpability. The majority of our personal injury cases deal with negligence. Working closely with each and every client, our personal injury attorneys meticulously investigate the cause of the personal injury, consider the accident itself, and determine the entirety of our clients’ injuries, losses, and costs. Beyond just our legal expertise and experience, Russell & Hill, PLLC, partner with reliable personal injury experts as needed to make every case a strong one. Frequently, we also partner with accident scene reconstructionists to conduct research on any skid marks, property damage or additional evidence that aids in our understanding of the accident and demonstrates its precise cause, as well as the culpable party. Through the incorporation of medical testimonies from the clients’ doctors, we are able to accurately demonstrate the full extent of their injuries. When it is deemed as appropriate, we partner with vocational experts to gain a better understanding of how the personal injury accident has affected our client’s short-term or long-term ability to work and gain a living. This information will also be relevant during SSDI proceedings. 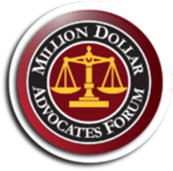 Contingent upon the intentions or careless actions of the culpable party, our client may be eligible to recover all monetary damages for their personal injury, inclusive of any losses and expenses that they have endured directly related to the intentional or negligent harm that caused the injury. This eligibility, as well as the overall amount, will be determined through a settlement or a judgment. Once the investigation of the accident has been completed, as well as the cause of the accident determined, our personal injury attorneys make their full assessment of the client’s personal injury monetary damages, including any losses and costs. Your claim is then presented by the attorney in order to negotiate just compensation through the insurance companies. We have very respectful relationships with the insurance companies, and we are taken very seriously because we have a proven track record of making the appropriate preparations for each case to be successful by the time it reaches trial. In the event that a fair settlement is unable to be reached, we will effectively present the client’s case to a jury in trial. Dedicated and aggressive, our attorneys devote all the time and energy needed in order to pursue every client’s personal injury case to achieve optimum success. If an accident has left you or a loved one injured or in a state of harm within the State of Washington or Oregon, contact Russell & Hill, PLLC, personal injury attorneys, by completing our free personal injury evaluation form with your information or by reaching us by phone at our toll-free number, 888-379-9517. 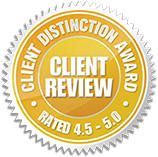 We will be happy to schedule a free initial consultation.